Alex J. Cavanaugh: Ninja News, Eureka, WV, and How Do You Want to be Remembered? Ninja News, Eureka, WV, and How Do You Want to be Remembered? Today is another Special Participant Feature at the A to Z Blog. This time I interviewed author Marta Szemik. Her theme for the Challenge was “Changes Throughout History” and it was very cool. Christine Rains is hosting a blogfest to celebrate her upcoming release, Fearless. Those of you who followed her during the A to Z Challenge know it’s an awesome story. For the blogfest, which runs August 7-9, she’s asking – What was Your Childhood Monster? Jeremy Bates is hosting the Dog Days of Summer Blogfest from August 10-12. Visit his site for details and to sign up! David Powers King hit seven hundred followers this weekend and he’s hosting a Magnificent Seven Giveaway! Congratulations, David! Tips on acting professional as an indie author (or as a human being!) from Mel at Writings, Musings, and Other Such Nonsense. Don’t forget the giveaway for CassaStar and CassaFire at The Writing Nut ends on July 31. And since it is the last Wednesday of the month, you know what that means! 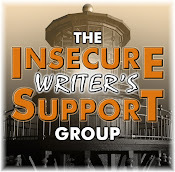 Next Wednesday is another posting for the Insecure Writer’s Support Group, and we have many new bloggers joining us. I’m running into this a lot again, mostly on the sites of new bloggers. I believe word verification must be the default setting for comments. Unfortunately, the blog owner never sees it on his own blog. If you’re not sure or you want to turn it off, go to your dashboard, click on settings, and then click on posts and comments. Many of us are writers and authors, and we want to be remembered through our books. But when I really thought about it, my books don’t rate that high on my list. Ready for some blogfests and giveaways? 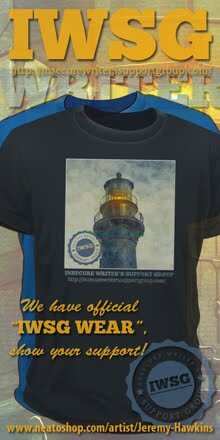 Ready for the IWSG next week? Were you a fan of Eureka? Is your word verification on by accident? And how do you want to be remembered? Be sure to visit Marta at the A to Z Blog! Those sound like great blogfests! Not sure I'll have the time, though. I'm on my regular summer research trip in Oxford and busy writing. the English summer has finally arrived and when I'm not buried in ancient lore I want to be out hiking with my family! yeah, word verification is a pain. I switched it off but I do have the moderation switched on. I get lots of spam and the occasional hate mail, so I want to approve comments before they appear. I think you are very well known for being genuine, and that is something people will always remember about you! I cannot WAIT for Christine's bloghop! Word verification... I'm a little bit troubled, because I'm not native English. And I know my weak points with the grammar, but I usually try to concentrate to write without mispelling. I think if only one person remembers me with fondness and forgiveness, I'd be happy! I'm with you for the way I'd like to be remembered. Thanks for reminding me that IWSG is up again! Wow, doesn't the month fly!! The whole word verification etiquette thing really bugs me. I'm always tempted to say, in the comment, "Hey, did you know you have word verification on and that it drives me absolutely batcrap crazy?" I dunno, what do you think? Should we mention it? Thanks for the IWSG reminder! I'm with you on the topic of How You Want To Be Remembered... my sentiments exactly! Amen! Loved your serious note. I do want to be remembered for my books but there are more important things. I think that's a good thought to ask yourself how you want to be remembered every now and then. At least our books can live on long after us. Word Verifications is at an all time worse, I think the bastards are even more blurry than ever. When I was 18 to 22, I had about 25 great friends [BI before-internet] and know I think I have just one or two... that includes my mom. I would just like to be remembered for being here. I leave the world with no children, no real job... but I hope to leave my art. Those all sound like great blogfests! It's going to be a busy August. I would like to be remembered for being someone who is always there for a friend in need; to help them through those rough spots in life even if it's just to listen to them. My mother has said this all her life. It made me think of her immediately. Al, I think I want to be remembered as an encourager. Someone who saw the best in others and made them see it, too. Thanks for the heads up on Jeremy's blogfest! Sean, blog owner approval is smart then. Zoltan, they are trying to kill them. And you write very well in two languages. By word verification, I'm referring to the code you have to enter to leave a comment on some blogs. Cindy, that's how I have it set up - no anonymous comments. Jeremy, you will be remembered! Kathy, we all need someone like that. For me, probably that I was a good mom. I've just been thinking about this "how do you want to be remembered" thing lately (was even considering blogging about it!). So many things come to mind, but most especially, I want to be remembered as someone who was extravagantly joyful. To dwell in the heart of joy ... that's a pretty good way to live, I think. Word verification is a major bloggy bugbear for me. I'd like to be remembered as a happy person who did something worthwhile. At the age of about 14 I decided the meaning of life was to be remembered. And that writing was the best way to do that. I think I'd seen a new story where an old man had died and no one found him for a few months - no one remembered him in life, let alone death, because they hadn't thought to look for him. Sorry, that was a bit of a downer, wasn't it? News story, not new story, BTW. I guess I'll be remembered as that trekker who just didn't take himself seriously enough cos' hes always watching Star Trek, all hands abandon ship, hehe. Alex, I was careless. I read againt this part of your blog and now I clearly understand. Thank you for the hint, now I switched off the wordverifications at my blogs. What a question! I'm much like you. I don't want to be remembered because of the books I write. I'm hoping to be remembered for being a good, honest and loving person. I still have time to show more people those qualities. It is sad they keep ending shows. They ended some of mine, well, one. They ended Monk but that was before I started watching so I don't think it counts. I think I will give Psych another chance. I think he is winning me over by his always picking an actor to be before running off into danger. I too want to get to Heaven and hear Well done good and faithful servant. I think I wish to be remembered as, someone who encouraged others to be unique. Not copies that the world thinks we must be. Thank you for your comments 8-) I like getting them a lot. Annalisa, that would be a sad ending to one's life. Alex, I love what you want to be remembered for. It wouldn't be books for me either. I want to be remembered for being a kind, loving, caring person who helped others wherever and whenever possible. And my friend, you have already succeeded in what you wish for. Lots of great blog fests. I just want to be remembered as a kind person and a great mom and wife. that's too bad about Eureka; I really liked that show - enough that I may just rent the whole series on netflix to catch all the shows I missed. And yes, I so think scyfy has gotten worse, less scifi and more stupid crap like wrestling (my apologies to those who happen to like it but it just doesn't belong on the scyfy channel imho!). And I completely agree with word verification. Get rid of it! Please. It makes commenting much harder. Blogfests everywhere BUT, I have got to sell a book and quite goofing around. How do I want to be remembered? Well, I have to admit I'm more worried about how God views me than man, so, I'll be grateful to hear those seven words in the presence of my Savior. I'm sure that is one of the things you will be remembered for, Alex. I know I am constantly impressed by you and the support you show other writers. I really want to do all these great blogfests but work comes before play. I guess I'll just have to get all my editing done this week. Thank you, Karen. And I'll remember that way. MsHatch, I'll probably watch them all on NetFlix again as well. Such a great show. Faraway, that's what really matters in the end! Cassie, I'll always remember you with a smile. MJ, I doubt I'll participate either. Genuine is the first word that comes to mind when I think of you and your blog. Your support for other bloggers is legendary. I am hard pressed to getting somewhere, where you haven't already been there already and commented before me. You amaze me! And I, like you, hope to hear those words, "Well done good and faithful servant" one day. I think I would want to be remembered as someone who loves others with her whole heart, and doesn't judge. I'd like to be remembered as the guy that proved rich people can be happy. And yeah word verification is a pain. I can only pass those tests about half the time. You do seem to be genuine and provide very consistent support to so many people. We share the same philosophy, Alex, and your question pretty much sums up why I have chosen to become a writer. This is in fact one of the reasons why I started writing Guardians & The Lost Paradise. I found myself with this irrepressible desire to tell this story. I had no idea at the time that it was going to take me almost 6 years to complete. Or that I was going to release it in 6 installments in 2012. In the end, we are all vessels like the characters in my story, waiting to be used should we choose to listen to His Call. Alex J. Cavanaugh - still fighting the good fight (against WV). Blogfests?...yay! WV?...argh! IWSG?...think I have a topic. And you, my friend, have nothing to worry about. You are one of the MOST genuine, kind, and generous people I've ever known, virtually or otherwise. Your impact is greetly felt by all. "I want to be remembered for being genuine. For being genuine in my support, attitude, and love for my fellow human being. I want to know I made a genuine, positive impact on this world, even if it’s just a little bit. I won’t always succeed, but it's what I strive to achieve. I want to get to Heaven and hear the words “Well done my good and faithful servant.” "
Yes, Alex. Me, too. And I believe you will be. Word verification drives me batty, makes me feel like I'm going blind. And I think you will be remembered as being genuine and kind. I'd like to be remembered as someone who brought happiness into the lives of the ones I love. I always enjoy Eureka when I watch it but I never was a steady fan. Lots of great blogfests going on next month. Should be fun. I -think- I'm going to do an Insecure post next week, but I'm not gonna put myself on the list, because I don't want to do it for just one post, and being insecure is not one of my things. However, I do have a post (unfinished) that's been sitting in my drafts for a couple of months that fits, so I think I'll post it on Wednesday (assuming I get it finished). Not sure what I'm saying other than that I'm being a part without being a part. I have watched some Eureka. 2 or 3 seasons worth? I like it, but it's not my favorite. Not having anything I sit down and watch every week (since we don't get TV) makes it not so difficult when things go off the air. Word verification must be doing some good i suppose. I really don't like the latest blurry door numbers, can't tell what they are half the time. I'm really looking forward to Christine's blogfest. And I've been running into word verification a lot lately too. It's so much worse (figuring out the verification) than it used to be. And I don't think you have to worry about how you'll be remembered, Alex. Your genuine spirit definitely shines through. As for myself, right now I'd just like to be remembered instead of forgotten. I thought Eureka was wrapped up quite nicely and, though I haven't kept up with it since the 'time travel/parallel universe' plot line, it was a very well done show and Sci-Fi should have kept it around. I hate to see Eureka go - although I haven't been able to see many episodes this season - but that's what reruns are for! One of our stations showed a few episodes of Warehouse 13 then dropped it. I really enjoyed it! Hey, some great blogfests there! And you will definitely be remembered for being genuine--you are truly a nice man. As for me... I want to be genuine and honest all the time, but I want people to say, "Man, she was fun..." the zany legacy... I want the remaining pictures to be along the lines of what we see of Albert Einstein sticking our his tongue or riding that bicycle. Lots of great news Alex. I'm so sad to see Eureka go although it kind of lost it's way in the later seasons. Jaybird, thanks. A little behind today on comments, so I bet you beat me to several. And those words are priceless. Rusty, thanks for the laugh! Thank you, Donna. May we both achieve it. Andrew, you should sign up anyway. If you can't participate next month, no big deal, and I can take you off the list. Cherie, we won't forget you! Hart, don't think you have anything to worry about. As a writer, I'd like to be remembered like Robert E. Howard is remembered. Ain't gonna happen, but still. I would want to be remembered as loving, loyal, and supportive. And as for Eureka... Yeah, SyFy is owned by NBC. And they don't like sci-fi, they like wrestling (like you said) and bad attempts at day-time drama TV with an (again, attempted) sci-fi/fantasy twist. As you can tell, I'm feeling a bit burnt by SyFy right now, lol! I want the good programming back! Lots of good stuff going on. I'll be doing the childhood monster blogfest. Should be fun! I like your comments on how you'd like to be remembered. I couldn't agree more! Heading over to visit Marta. Congrats! to David Powers on the milestone. Those big round numbers are always fun to hit. And I signed up for the two Blogfests. Those sound like a lot of fun. And that Word Verification is a real pain. Thanks for helping to get the message out! Thank you very much for the shout-out. (Though the dates you posted are wrong!) I've been running more into the word verification thing too. And it's gotten more difficult to figure out! Alex, you are one of the most honest and supportive folks on the internet. I want to be remembered for being a good mother and a compassionate human being. Maurice, it was still one of the best things on TV. Christine - crap!! I'll fix it. I admire how you want to be remembered. I never thought about it, but I guess I want people to remember me as someone who tried hard and was a good daughter, sister, aunt and friend. I think you are more than on your way for how you want to be remembered - you are one of the most genuine people I know. And I'm very grateful for it. I can't think of a better way to be remembered. Good call on that one! I'm bummed about Eureka. I like Warehouse 13, but really miss my alien planet fix. Syfy has been disappointing ... all about haunted things and wrestling. Tornadoes and Gaters on Saturdays with a smattering of yeti. Hmm. I hope people will remember me as kind, supportive and encouraging. I hope I'll be remembered by some as the star guide who inspired minds. Most will probably only recall a call with a cool green laser pointer. You are the most supportive, most kind, most genuine people in blogosphere, Alex! Hope you know that. How do I want to remembered? As a good person, with a good heart, who loved fiercely, who brought laughter into the world, and who left pieces of herself behind in the relationships she shared with others. I always find such good blogs to visit when I come here. Bye-bye Eureka. :( But for me it's not all sad because I only started watching last season so the early seasons will be brand new to me. Thank you, Netflix! Being genuine is a good thing to be. I guess I'd like to be remembered for not being afraid of anything but spiders...and fish. That's a great way to be remembered. I never got to see Eureka. My TV watching has dropped dramatically over the last 4-5 years. I really believe it's a series I would love. Will have to check it out on DVD or Netflix if it comes out. i'm always in a hurry and afraid i'll be remembered that way. i guess i should slow down, but i have somuch i want to do and limited time! I don't use word verification. I've hated it since I first started blogging and it was one of the FIRST things I learned to do. LOATHE it. But I have had to turn off my anonymous comment capabilities. I swear I was getting 20 spam day or more. Ugh. I haven't watched Eureka, but then I find a lot of shows after the fact. I end up watching them by season on DVD. Remembered? I love that scripture!! Yes, I'd love to hear those words too. How good you would feel. The monster that terrified me most was a completely invisible monster that devoured people in a film series B. Well, since I have never met you in real life, my opinion is speculative at best. But I think you are a genuine in all those things. You have made a positive impact on me and by the looks of things, lots of other people here in the blogosphere as well. I'd like to be remembered for my honesty. Not everyone likes that about me, but it is something I work very hard at. And treating people well. Ready! 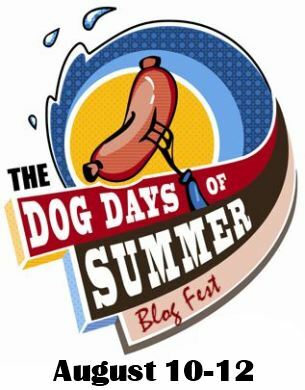 There are definitely a LOT of blogfests this summer. At least word verification isn't as prevalent as it used to be--after there were so many posts against it before/during/after the A-Z Challenge, fewer blogs I've visited have had it. Melissa, it was such a great show! And you are tops in my book. Mary, it was a great show. SyFy is making so many mistakes. And I will remember you that way! Jay, you can catch it on NetFlix. Tara, I'm always in a hurry as well. I think we'll be all right. Sia, no anonymous comments makes a big difference. And I'm sure you will hear those words. Mel, honesty is so rare, so that is a good trait! I just started streaming Eureka! Alex, you are sure on the right road for being remembered the way you want. Genuine is such an important word. You may or may not know that "Arlee Bird" declared that I was the official anti A to Z spokesman. What an honour and of course, my alternative postings were mainly tongue-in-cheek. I'm going to check out that interview with Marta Szemik. And sorry, blogfests are not my scene. I wish much fun to those who participate. I think you might realise that I also want to be remembered for my sincerity and my extremely discreet background work bringing further awareness of writers and bloggers who may not be getting the attention I believe they warrant. Take care, my background work, with little fanfare, continues. Ella, thank you! And you will be remembered for the beauty you gave all of us. Gary, I think you are the perfect spokesman! And that is a worthy goal my friend. I want to be remembered as a compassionate but flawed person who loved her friends and family and God. What more could I ask for? I love this question, Alex. I'd like to be remembered for being genuine and kind to people. I want people to remember me for how I made them feel, rather than for anything I did. Nope, no word verification. It's so annoying I could never put my readers and commenters through it. Imogen, I think you will be remembered for all of those things! Eureka is such a cool series, too bad they are discontinuing it! What's next Lost Girl?!! I've checked a few times and I'm pretty sure word verification is off on my blog. Yes, I'll be ready for IWSG. When I clicked on the indies being professional link I was stuck reading for an hour. I started clicking links and Googling things. I'm quite shocked by some authors' behaviors. I was sad to learn that Eureka had joined the canceled list. It was a good show and had not really run it's course. I also am shocked that Harry's Law won't be back next season...it had barely got going and then they pulled the plug. Hope someone changes their mind. I also thought Jericho was a really good show that was revived briefly when thousands of bags of nuts where sent to the studio in protest of the shows cancellation. Do you know why people sent nuts? Alex, I truly believe you will hear those words. I'd like to be remembered for being the adult who made a difference in the life of a child, my own, my piano students, kids who might read my work or be in a play. I hope they feel inspired. I don't expect to be remembered. I just hope that my Lord is pleased with everything I do. It's a shame about Eureka. Yes, I want to be remembered for being a good person. Someone kind, caring and genuine. Regarding the disappearance of series like Eureka it is different for people who live outside USA like me. When a new series comes up in US then we do not know if this series will be aired in Germany. Sometimes it takes a year or more and sometimes it will never happen. As we are mostly one season behind we know in advance when a series will be finished. I do not like the word verification and to be honest when I can't identify the code after the third try then I do not leave a comment. 1599 followers!! How will be number 1600 ? Hilde, they won't stop until the SyFy Channel is science fiction free. Medeia, you really got involved! Chuck, don't have an answer for the nuts. Roland, not a bad legacy at all. Leigh, that gave me a chuckle! Dunno how you cope with so many comments. I'm going to wait for the whole of Eureka to be up on Netflix before I start watching; start to finish is the way to go. As far as SyFy, nothing but wrestling against sharktopus. Thank you for reminding bloggers about word verification! I'd like to be remembered, by those that knew me on a personal level, for who I am. For love and friendship. And by those who didn't know me, as someone who might have entertained them via my stories, for a few hours in their lives. No word verification for me, and unless a lot of spam pops up, not planning on ever using it. When I first started, I used the blog owner approval feature. The only time I use that now is for comments on older posts. How do I want to be remembered? Good question. Have to think about that one. Although I would want to be remembered for following my convictions. Always good to read your list of books that are about to appear. Thanks Alex. I can go with your sentiments on how I want to be remembered. Also I want my children to remember me as a good father as pass on the values I passed to them. Hope I can get some time to put together my IWSG post before next week. Visiting daughter and her husband in Houston for the next few days and it sounds like they have a full agenda of activities scheduled for us. I need a vacation from my vacation. I am content with just being remembered, of course for something good. SyFy canceled Eureka because it was too cost prohibitive for them. To reduce them to just a channel that offers wrestling I think is dismissing their contributions. They are in talks to possibly reboot Blake's 7 ( a great sci-fi series), they feature Being Human and Lost Girl and Alphas (those are great spec fic offerings), and they give us Warehouse 13 (as you've mentioned) along with being the network that brought us the reboot of BSG. I think you are being a might bit unfair to the SyFy channel. Joshua, I'm surprised they haven't made that film. Karen, I use it for older posts as well. Lee, that's how I always feel after a vacation. Leovi, your photos will live on forever. Michael, they did state they were introducing more wrestling. Outside of Warehouse 13, I don't even watch the channel anymore. Besides, they blew it for me when they cancelled MST3K many years ago. Best show ever. Alex, I want to be remembered the same way as you for being genuine and a helpful person. Great reminder about word verification! It slows me down on my blog reading! I want to be remembered as a kind person, good mother, good teacher. Eureka was great. I'm gonna miss it. I had my word verification on for a while by accident as it was the default. I find that annoying on other blogs, so I turned it off. And that is a wonderful way to want to be remembered. I agree with that. Eureka was a fun show. What a wonderful way to want to be remembered and I would say you will certainly succeed. Eureka was a great show; sadly missed! Rachna, I'm sure you will! Kelly, add big smile to that list! Good, thought-provoking post, Alex. Kudos. Alex, I don't think you have to worry about yourself being genuine or caring, you my dear are certainly both! Eureka? We never saw it again after two seasons here in the land of Oz! I didn't even know it was still being produced! Lots of Blog Hops for August, looks like it will be a busy month. I would like to be remembered for my compassion to people, my sense of humour, being the biggest Daniel O Donnell fan, and I would like my family to be proud of me through my two books. The older I get, the more it matters to me that I leave behind something good. Thanks, CM. Yeah, it made it through five seasons. Yvonne, I think you will, especially the Daniel fan part. Helena, yeah, because we start to see the end! I'm so sad about Eureka. I'm only on season 1 (I'm a bit behind the times on that one), but I'm already dreading the end. Sigh. Like you, I want to be remembered for tilting the world towards compassion. I'd also like to have made folks laugh, as many folks as possible. SL, just enjoy the ride. Robyn, you will definitely be remembered for making us laugh! I want to be told 'well done my good and faithful servant' as well:-) I think that means being full of grace and forgiveness, love, and humility. Yay for David Powers King (no relation, although that would be cool)! I want to be remembered for being me, that I never gave up, that I was strong even in my darkest hour. Being an author is not easy. It takes courage, sometimes beyond our physical and mental and emotional ability. So, I want my books to reflect upon my never giving up. But most of all I want to be remembered for knowing that I am a daughter of God and He loves me. Amen to that! I'd love to be remembered for instilling love and inspiration in people around me. And thanks, as always, for the great list of what's happening in the blogosphere. Being remembered as a genuinely caring individual would be very meaningful indeed. I want to be remembered as someone who helped others through hard times. Thanks for the comment about word verification. I agree with you that it's likely a new blogger thing or an uniformed veteran blogger. Very annoying! That's very sad when a favorite TV show goes bye-bye. Waaah! Thanks for mentioning my Blog Fest, Alex. I do appreciate it. Cheers. I'm going to miss Eureka too, although the story line got a little crazy at the end. I turned off word verification for my blog, but now I'm getting absolutely hammered with spam. Julia, that's a wonderful way to be remembered. Jennifer, I didn't want it to end! Jeremy, you're welcome. Hope more people signed up. Cate, switch to no anonymous comments - that helps. Alex, excellent post loaded with all kinds of great info. I'm entered in the blog fests and stopped by David's site to congratulate him on 700. Feels good to be getting back into the blogosphere after enjoying a bit of summer vacation. You're inspirational! I'm with you, Alex. I want to be remembered fondly, as a kind person who loved her fellow man. My books (when I have them) won't be that high on the list. Haha, I have always enjoyed your guest posts. Heading over! Thanks so much for the tip about the comments setting, Alex! That's a huge help. Being remembered for being genuine--that's a good one! woo boy, what would I like? To be remembered as being kind, helpful, and yes, as a writer who really entertained with her novels. Great for telling me about word verfication. Yes, WV is annoying. So I turned it off on my blog. Thanks so much for that eye-opener!